Anglo French Removals have been offering full removals to France for over 30 years, and in that time we've helped thousands of families and companies make hassle-free moves to and from almost every location in France. So whether you're retiring to Bordeaux or setting up a new office in Paris, Anglo French Removals have the expertise you need to ensure your move goes as smoothly as possible. We pride ourselves in offering exceptional customer service and a full removals service that not only meets, but exceeds even the highest expectations. From our reliable and cost-effective packing service and our secure storage facilities in Kent, to our man with van to France and France furniture shipping services, we offer a complete one-stop solution to moving to France. As part of our full removals service we also provide an optional removal packing service, and we can also supply packing boxes for moving house if you wish to pack your items yourself. 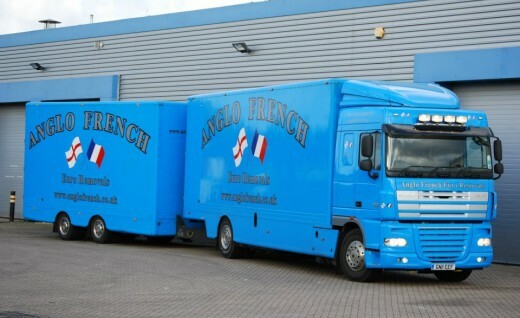 If you're looking to move to or from France, Anglo French offer the most reliable one-stop removal solution in the UK. For more information on the removal services we provide, simply send us an email using the form below or request a free quote instead.